I’ve taken three flights in the last couple of weeks and the Pre Check lines have been open for exactly none of them. Regular lines continue to get longer, and as we approach the peak summer period, the ugliness is coming to a head. The airline lobbying group A4A has now created a campaign called I Hate the Wait to help people express their anger directly to TSA on Twitter. There have been a lot of tweets followed by pictures of really long lines. Usually when the noise reaches a fever pitch like this, government finally gets around to fixing the problem. That’s what it looks like is happening here on the surface, but in reality Congress is putting forward weak stopgap solutions that don’t fix the issue. It’s too late to save this summer, so get ready to arrive at the airport much earlier than normal. You’ll recall I wrote about this back in March, and I was afraid if the government didn’t act, things would get bad. The government isn’t acting in any meaningful manner. Sure Congress finally authorized TSA to use some overtime and they’ll be hiring an additional 700 or so screeners by the middle of June, but that’s a drop in the bucket. Congress needed to act much sooner and TSA should have relaxed its procedures to improve throughput, but no. Instead, they’ve been busy wasting time. Remember Senators Markey (D-MA) and Blumenthal (D-CT)? Those two are the ones who kept trying to sneak airline fee regulation into the FAA reauthorization bill. Fortunately, they failed, but now they have a new target. These two Senators are up to their usual tricks: blaming airlines for everything. In fact, they sent a letter to airline CEOs this week asking them to stop charging bag fees this summer so that fewer people would carry bags on and lines would move faster. 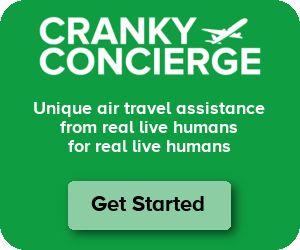 Because Congress won’t do its job and properly fund a system it has forced upon the airlines and the traveling public, these two members of that esteemed body think airlines should completely alter their business models to help fix the mess Congress created. Yeah, right. Maybe these Senators should be encouraging airlines to follow Frontier, Spirit, and Allegiant’s lead and charge for carry-on bags as well. If the solution is to reduce carry-on bags, that’ll do the trick. Something tells me that’s not going to be part of the Senators’ proposal since they clearly have a separate motive that has nothing to do with lowering the burden on TSA. But this is a useless discussion anyway. Cutting back on carry-ons in favor bulking up on checked bags won’t solve the problem. Remember, TSA screens all those checked bags as well, and as I noted in March, it can’t keep up with demand for those services either. (Not usually this bad, but still pretty bad.) Bags are missing flights because TSA can’t keep up with checked bag demand. Encouraging people to check more bags will just shift the problem to a different part of the travel experience. It would certainly be much more productive if Congress focused on understanding what was happening and then solving the problem instead of wasting time with PR stunts. It has finally started to make some hollow moves, but we’re way too late for anything to meaningfully change this summer. This was a complete mess that provided no solutions. You can watch some of the videos from that hearing and see just how useless this exercise has been. Is there no way to fix this without Congress? Of course there is. If the TSA wanted to do something useful, it could. It could opt to go back to previous security procedures which allowed for greater throughput. But no, that won’t happen… all in the name of safety. Anyone believe that? With no option to actually make the security screening process more efficient, we need a lot more screeners to keep the aviation system moving. Minor moves have been made to try to make it look like Congress is acting, but it’s not enough. This summer is going to be rough, so get to the airport early. Two dysfunctional halves. We can fire one of them, I wish we could replace the other. Yet 99.9% stuck in the lines will proudly stand with hands over hearts screaming wildly “land of the free” at the next sporting event. They will also “salute the troops”, not realizing the terrorists are targeting countries whose governments target them. Sometimes the best course of action is what I tell my very young children: Just walk away from the conflict and your combatant will soon forget you even exist, much less attack you. There is some truth in what you say…but aside from all that, those same 99.9% will demand even more stringent “security theater” the next time some sort of outrage happens. Build a wall, ban certain religious/ethnic groups, “make America great again”, all to chase a will o’ the wisp dream of perfect security. See Prof. Robert Pape’s work showing 95% of suicude terrorism is a reaction to perceived foreign policy grievances. I agree with you. I’m reading a history of beginning of WWI and in a matter of days England went from roughly 95% against war to 95% for it. Mob rule at its finest. Yes, when the Mob is aided & abetted by stupidity in high places all sorts of awful things come to pass. And our present government is at least semi rational; there is a good possibility that we end up with whatever crowd of buffoons are going to “make America great again”. Yes, this is really coming to a head. Over the past few months things have been ridiculously bad. So, on a related note…. how come CBP has gotten better by leaps and bounds over the last two-ish years!? From what I recall, that was also after it came to a head. I remember 3 hour waits in the news one summer and now they have new kiosks (not just global entry) and less questioning (I love that the CBP no longer has computers to play with in the US citizen line after the kiosks). John – Well, they’re separate entities with different protocols. I haven’t looked into CBP but as you say they’ve been able to automate a lot of stuff that TSA can’t (or hasn’t). That could be the differentiator. But it’s also a different funding stream. We are urged to pay for Pre-Flight check – and then those lines are not open -what a surprise – just another way for TSA to anger flyers. And now they say we should turn up 3 hours ahead for domestic flights so we can stand in line for 3 hours and still miss the flight. What is next? Turn up the night before an international flight, spend the night lying on the floor at the airport in hopes that one can make it through security in 4-5 hours? All this for the absurd security theatre by the gang that cannot shoot straight. You’d think that a lot of the TSA checkpoint personnel could be redirected to increase staffing for “free”. I mean, do we need a trained TSA screener to man the “Don’t Enter the Exit” chair? Why do we need a screener for the ID-checking station? Abroad, contractors are always the ones that do that US-specific doc-checking and put that little sticker on your passport. Why use screeners to shuttle bins back through the line, shove bags along, or handle other menial chores? Confine screeners to actual screening, and give airports the option to provide the rest. Somewhere in the past week I saw a blurb that the TSA (sic) has been used at over 250 campaign events since October. Not sure how that fits into “Transportation”, just as I am unsure how much “Security” the agency “Administers”…. I am curious how the privatized airports are doing amid this chaos? I believe SFO and ROC are two. Any reports from those airports? The problem with TSA is no accountability. If you privatize, you can fire the poor performers. Also, there are a myriad of tasks non-TSA workers can perform during the hiring shortage. We had private security before, and it didn’t exactly work out that well either. They were paid like fast food workers and there was high turnover. Funny how everyone forgets all those stories that ran shortly after 9/11, when travelers demanded something better. I’m not saying the current system works, and I am frustrated that they can’t get their act together, but I don’t think the solution is as simple as firing the government and throwing a lot of money at a contractor whose end game is to make a profit. And if you think firing a bunch of people is really going to help, remember that you then have to invest a lot of time and money getting someone else up to speed. Which means a shortage of staff, which means long lines, which means…..
Wake up Ben. Private screens do a consistently better job than TSA – look at results. Let’s not compare pre 9/11 to now. Have you traveled through a private screener airport recently? It makes a difference. Also, most of the rest of the world uses private screeners. I do think government should set guidelines and oversee private companies do it correctly. Also, profit is not a bad thing. Just because I have a different opinion, doesn’t mean that I have to ‘wake up.’ This is a discussion, and I disagree with your argument. I have not traveled outside of the country, so I have probably have not used private screeners. I compare to pre-9/11 because that’s when we did have private screeners. And I would add that just because something works in Europe or Asia doesn’t mean it will work here. Living in the DC area, I have gotten a good look at how government contractors work, and that is a big reason why I don’t think it would change much. I think if they do switch, you will see short-term improvement before things go back down hill and there are reports about how the contractor wasted money, how screeners are making too many mistakes, just like the TSA today. Maybe I’ll be wrong, but I’d be willing to bet people will be complaining no matter what happens. I agree what works in the rest of the world does not always work in the USA (although in this case I believe it does work better). My ‘wake up’ comment was a (not so polite) ask that you think outside the box. We have empirical evidence that non-TSA airports are better run (SFO a great example). Also, when the government runs an operation, and there are problems (like now), whom do you complain to? With a contractor, you can fire them and replace them. We collectively pay a large amount of TSA fees on our plane tickets and get very little return for those fees. Someone should answer for that. The PANYNJ wants to move towards privatized security & dump the TSA. Jeff2 – I’m curious as well to see if it’s been any different, particularly in San Francisco. I don’t know the answer, but I’ll see if I can get anything. Cranky, my experiences at SFO is that the private contracted company runs a good operation. The lines are manageable and the staff are much more savvy and friendly (and hence professional). When I use Pre at SFO I find I’ve been selected for random extra screening more often, but they explain it, they open up the body scanner within seconds and I’m through with minimal delay. For an airport of its size it’s definitely the best and easiest operation for security screening. I used to fly SFO regularly, and I became accustomed to 5-10 minute waits in security. I moved to Denver, and the DEN security lines (20-30 minutes) made me sign up for TSA Pre-check. DEN security has gotten progressively worse since then. If the problem is really congressional inaction, TSA should make sure that DCA feels the pain acutely. So true, and yet if any bureaucrat does make lines at DCA long, they are putting their neck on the line. All it would take would be a single email from a Congressman angry at missing his flight, and someone at the TSA would have to find a scapegoat. Honestly, if I were the TSA I would directly target the biggest donors (individuals, companies, and “unaffiliated” PACs) of the Congressmen on key committees, and ask them to complain to their politicians. Sure, a lot of those guys are probably taking private jets, but even they have underlings who don’t, and complaints from the big money will get attention. DCA already feels it. Even prior to this, they’ve consistently had some of the longest lines I’ve seen. This is exactly what every government agency does when Congress cuts their budget: punish taxpayers. Congress cuts IRS budget? Reduce front-line staffing in call centers. Congress cuts TSA budget? Reduce staffing in security lines. I have grave concerns that this whole process will be privatized. Those rumors are already making the rounds amongst TSA employees. What are your grave concerns exactly? Passenger screening was private pre-9/11 and did a fair job. Recall that the only reason we had passenger screening was due to the hijacking incidents that started pre-1980’s. Also remember that the 9/11 hijackers didn’t take anything on-board that wasn’t explicitly allowed through at that time. Case in point, the airlines did proper screening and if anything they can only be at fault for not anticipating game changing events like 9/11. Just because the Gov’t is in charge of screening now don’t be fooled into thinking you are any safer. I don’t think privatizing would actually fix anything (private companies can be just as ridiculous, incompetent, and bureaucratic as the government), and it’d probably cost more in the end, but neither do I see it as doomed to failure or any worse than what we have now. Given the high quit rate of TSA employees, it seems to me that pay needs to be increased, not for management, but for the employees we interact with. I would be glad to pay a few more bucks per ticket to have better paid TSA employees who are not quitting at a very high rate. Remember this is a Presidential election year so congress must LOOK like they are doing something to fix the problem and please the voters….I mean travelers. All in the name of safety? Please. It’s the same story on the airplane side. I’ve spent countless hours in the cockpit waiting for the FAA ATC system to allow me to take off because somewhere there’s weather. Safer? Sure! Nobody crashes when we’re all sitting on the ground! And the Pre Check has turned out to be nothing more than a great revenue generator, apparently. Jeff, if you all would fly through the thunderstorms, there would be no ground stops. Take a tour of a center or the command center some time during a weather event, it might change you’re attitude. Randy, thanks for your perspective. I’ve toured facilities and been through a few storms, so I get your point and I know why we sit it out sometimes. My bigger point is that like some of the FAA ground stops, it’s inefficient overkill. Marley and Blumenthal are complete bozos. Saw Markey on CNBC and he got totally schooled by the host. These tossers are a huge part of the problem. The public is supporting Trump and Sanders because they do not understand that Congress is behind all their complaints. Whoever is elected President will still have a reactionary Congress which is designed to perpetuate the partisan split rather than solve problems. You have pointed out that neither checking bags or carrying them on will solve the problems this summer. I am amazed that there was no Pre-Check line for your last three flights. What did we pay for? This is plane an simple a work slowdown, demand did not increase proportionally to the sudden uptick in delays caused by TSA. The TSA and their union chose to slow things down to justify their desire for more money. Sadly the TSA fee we pay as a ticket tax will just be increased, rewarding this unethical behavior. Which is why they need to be threatened with privatization. I’m not sure it’s possible to ‘properly fund’ a setup like the TSA. It looks like one of those situations where the resources ‘needed’ rise to match the resources available — and then to exceed them. TSA workers are in a bind. If they follow their SOP they’re inefficient, if they’re efficient and make even a minor error they’re incompetent and liable to be disciplined. Its not even a money thing. Its how they are treated. They are everybody’s scapegoat, from management to congress to airlines to passengers. TSA is not underfunded, they are poorly managed. TSA is allowed to ignore the procurement rules the rest of the government follows and then buys scanners which don’t sniff out explosives. And the lowest level screeners make very little money. I was in O’Hare airport recently in a elite security check line that was 90 minutes long. I got to the airport 2 hours prior to the flight but had to run to the gate and was the last one to get on. For the name of security? Unless some of the terrorists are really really dumb, they will not try to sneak through things they are checking for at the check points. We the frequent travelers say TSA stands for Thousand Standing Around for a reason. Thank you for writing this article! I’ve been waiting for it! I have also been enrolled in TSA pre check from the beginning, and I have certainly noticed pre check lanes have been closed for almost every flight I have taken in the last month. This is nothing to complain about by comparison to the massive main lines and missed flights; however, I see what is in store for the future. When I asked the TSA agent at MIA why the pre check lanes were closed at times they were previously open, noting also the very long lines, the response was that management has the right to close the lanes at anytime for security reasons. We may all be lucky to catch our flights soon, and it looks as though an open TSA precheck lane may soon become an unexpected luxury. LAX was a disaster last week, the bad news with new hires is that you have to train them. The United ticketing area is under construction at LAX so that’s already a mess, add in a clueless (I’m being nice) TSA screener who literally stopped every item in the machine and analyzed them for 2-3 minutes… It was beyond brutal. Today at ORD (Monday morning) honestly was not all that bad. I feel like ORD (I’m biased) in T1 – does a really good job at PreCheck. They had 4-5 lanes open – the line started at the middle of the ticketing area for United and I was through in 10 minutes. Still, I’m overall just disappointed in how this is run just like everyone else. I’m also not a proponent for the Government encouraging people to sign up and pay for PreCheck or the airlines just handing it out. I also do not believe people will check bags again, even if they are free. That doesn’t solve anything. Midway Airport still has the same problem and the majority of travelers there fly Southwest. We pay $5.60 for a one way flight to pay for the TSA. That should be enough considering the number of people who use a typical checkpoint in any given day. So, where does that money go? Southbay flier – Great question. The government decided to steal that money and put a huge chunk of it into the general fund to help reduce the deficit. The Government’s revenues are Fungible and as such once they go into the treasury, the Government can then spend it wherever and however they please. Anyone wondering where your FICA withholdings are going? Here’s your answer. Here is a proposal: Ultimately, any breach in security affects … airplanes in the air (other than airport bombings, which is a different issue). So who loses big if airplanes blow up? (1) Airlines, (2) aircraft lessors, and (3) insurance companies (and (4) their investors). Between the three of them, there is plenty of private interest in not having planes blown up. Therefore, I say that these entities take on this security business, not government or contractors, because they are the ones who have to pay $$ if anything does go wrong. They have the incentive to do something about security AND not anger customers. Perhaps this will take on the El Al model, and shift the “security line” time into some other hassle (at home security checks?) away from the airport itself, but now the interests are aligned. I hope it gets even worse so Americans grow a set and start to beat the tar out of the stupid Tsa agents and their elected officials for impinging on their constitutional right to travel. This is a joke. Quit standing in line sheeple. I have the TSA Check and they told me flat out, WE DONT HAVE ENOUGH PEOPLE TO STAFF THOSE LINES, SO WHY SHOULD PEOPLE SPEND EXTRA MONEY TO SIGN UP FOR THEIR STILL PROGRAMS…..TSA ALWAYS SEEMS TO BE SLOW TO REACT, STAY AWAY FROM NEWARK, ITS A MESS. Precheck closed at 8 pm Sunday night at JFK terminal 8. American and its partners had no fewer than 20 transatlantic flights departing after that. Sigh. And yet there were still two morons chatting with each other at the front of the precheck line to tell me that “precheck was closed.” I realize these aren’t TSA people and are usually they’d to check for precheck qualification but it just shows how uncoordinated the efforts are between TSA and other staffing. My guess is they don’t even know when precheck is going to close until they do it. Not to rub it in, but as coincidence goes I flew out of Heathrow yesterday evening. We went specifically early since I remeber it as a terrible airport and figured that we may plan some extra time for security. Nope: It took less than three minutes, including a full body scan, a pat down and a swab (probably my shoes, which I offered to take off, but the screener advised me not to bother). There where ample screening stations with no lines, whatsoever. I scratch my head when I read about the security horrors at American airports when Heathrow, one of the busiest airports in the world, can manage the masses of passengers with apparently no problems, whatsoever. Granted: It could be coincidental that screening was that fast yesterday evening and a sample size of one is certainly not representative. I also have to add that the airport apparently underwent massive improvements since I used it last time. But still. Why can’t the US get its act together in terms of airport security management? European airports usually add a few Euros (or Pounds in this case) as a security surcharge, exactly to cover – well – passenger screening. Why is that not possible in America? Or am I missing something? Alain – The US does add a fee to every booking for security, but then the government has decided to divert most of that into deficit reduction instead of actually paying for security services. Ultimately, this is a problem with Congress and the TSA to get their acts together. It’s not like it can’t be done in the US. It’s just that Congress isn’t giving funding and TSA isn’t being efficient. Nothing more 5han a management and union engineered slowdown to enrage the public in an upcoming election year to gain concessions. The TSA is a bloated gov’t agency like most all of the rest. Rupublican controlled Congress should be pressing for privatization. The Off-Site TSA Pre-Check Sites in the Chicago Area have wait times with/without appointments of 3 to 5 hours just to get fingerprinted. That was yesterday, I unfortunately was at one of them and it seemed the whole city was too. Can I get a refund for the screening fees on my ticket since I’m not satisfied with the product I received? Do the airlines charge easy profit rebooking fees off all the stranded passengers? Aren’t the airport vendors happy that passengers are arriving four hours early for flights? Sorry if this was covered, just catching up on blogs. The insane thing is that there is a direct user tax/fee for these specific services. Kind of like tolls on a toll road or postage stamps. If there is an uptick in passengers then there is an uptick in the so called 9/11 security fee. That should go directly into TSA, which points to Congress for playing political football much like they do with the highway trust fund. The difference here is that if there is not enough money from the fee, then the fee should be raised to reflect the true cost of security. If the fee is more than enough, then the TSA should be authorized to spend x dollars per passenger based on fees collected and projected (which can easily be figured out based on purchase data). Shane – Not all that money is going to TSA. A couple years back, a budget compromise allowed the feds to divert a bunch of money from the fee toward deficit reduction.